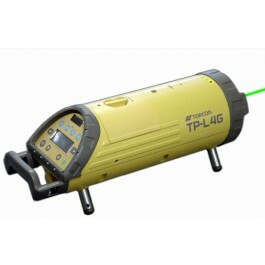 With the unbeatable visibility of Topcon’s innovative Green Beam® technology, the TP-L4G offers a beam that’s four times brighter than conventional beams. That means you never lose track of it – even in direct sunlight! With the TP-L4G Green Beam®, setups are faster and easier than ever before. SmartLine® to make second day setup and alignment automatic. World’s Best long-range spot quality. RC-200 radio remote for complete control of all TP-L4G functions from up to 660 feet away. The TP-L4G also has SmartLine® for fast, simple alignment. Just set the target at the far end of the last section of pipe and push the alignment button on the RC-200 remote. The beam automatically centers on the target for perfect alignment every time. You can even use SmartLine® for quick above ground setups!